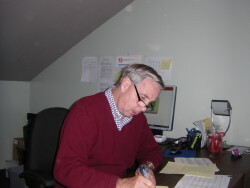 Harry retired to Victoria in 2010 after spending his entire adult working life in Alberta in the oil industry in Marketing and Managerial responsibilities. He has always been associated with and enjoyed the ‘people side’ of business organizations. He has volunteered for over 20 years with several not-for-profit organizations in various capacities, mostly in financial disciplines. Shortly after arriving in Victoria he started volunteer driving, continues to do so, and the opportunity to serve as Director for Cancer Driveline is an extension of his past volunteering and business experiences. He especially enjoys the interface with the clients he is helping out, providing much personal satisfaction in the process. 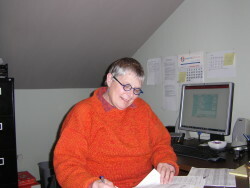 Judith has worked in the non-profit field as an Administrator for 15 years. She brings experience in health care as a Practical Nurse and in business through her early real estate career. She has served on a number of community boards including a residential care facility. She is a dedicated volunteer and enjoys working together to form an effective team. Judith is the Vice-President, currently managing the Media & Marketing aspect of the Cancer DriveLine Society. Bill came to Victoria in 1974 to attend university and has lived here pretty much ever since, with brief forays to Seattle and Beijing, where he concluded that Victoria was best. Bill has spent most of his career working in the public service in IT and finance. He tried retiring in 2015 but got bored, and now splits his time between driving and part-time IT consulting. Outside of work, Bill enjoys woodworking, cycling, kayaking, scuba-diving, travelling, playing the piano (badly) and playing ice hockey (even worse). Bill is currently a driver and a director for Cancer Driveline, and really enjoys providing safe reliable transportation for cancer patients. Don worked for over 33 years in the BC Public Service with the Ministry of Finance and with a Crown Corporation, as a senior investment accountant. He has also volunteered extensively with the Victoria Titans Volleyball Club as a coach and manager. Don has discovered since his retirement that driving individuals to cancer treatment appointments fits his desire to volunteer and heartens him to hear the stories of those who are challenged by this disease as several of his family members have been. 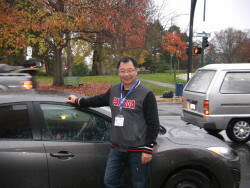 He is currently a Driver for the Society as well as the Director of the Board responsible for Driver Recruitment. Vicky hails from New York and moved to Victoria from the Bronx in 1983. 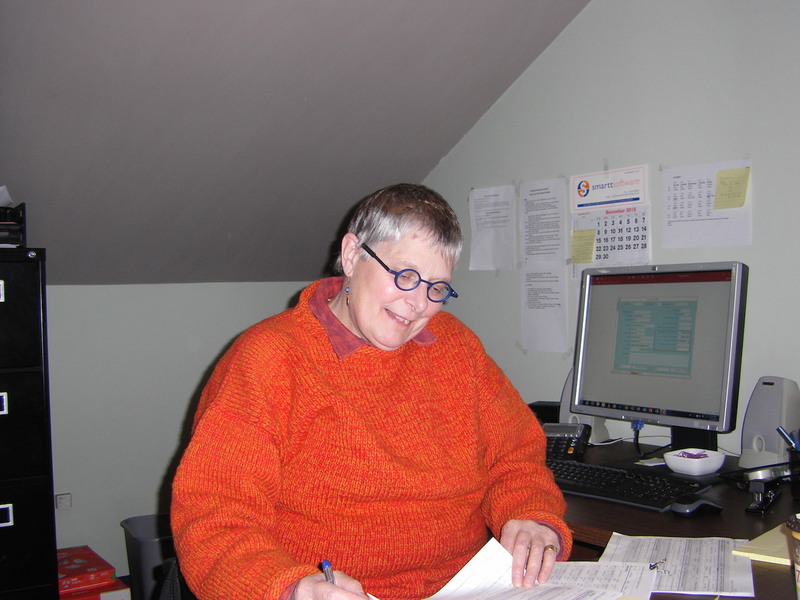 She has worked as a Registered Nurse for about 40 years, including last 10 spent in Home Nursing Care for VIHA where she became very familiar with Victoria’s geography, which helps in her work as a Dispatcher! She is highly qualified in cancer, palliative and elder care. She was a dispatcher with the Canadian Cancer Society’s volunteer driver program for four years. She brings extensive service experience to the Society. Vicky is a Director and is responsible for Social Media management as well as a Dispatcher. Bruce was born in Edmonton in 1960. He lived and worked in the lower mainland for 30 years from 1977 to 2007. In 1983, he started working in the distribution sector of the newspaper industry, as an assistant manager, for Trinity Holding, an international media corporation. Then from 2001 to 2007, he worked at The Vancouver Sun and Province as a private contractor. In August 2007, he moved to Victoria to become the director of distribution, responsible for all of the Black Press’s Greater Victoria regional publications. The scope of responsibilities totaled over 12 publications and an annual circulation of over 11 million printed copies. He managed a 1 million dollar annual distribution budget. He was at Black Press until 2016. On a personal level, He sat as a board of director on a Vancouver community centre, Thunderbird Community Centre, for a 2 year term back in 2005-2007, as well as volunteering with Habitat for Humanity at the Bethune build site in 2009-2010. He had been active in Glad Tidings church Street breakfast for several years, as well as volunteering with Christina Parkhurst’s Christmas Spirit dinner events. He has a heart for serving others with the desire to make a difference. He started volunteering with the Cancer Driveline Society in December of 2017 as a driver. Since then, he has enjoyed driving clients to their appointments, and he has also assisted CDL as a dispatcher, since August 2018. 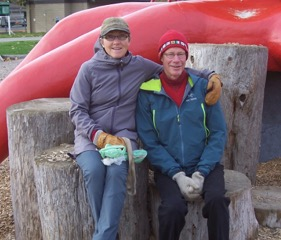 Rod and his wife of 58 years, Katherine, enjoy life on the Saanich Peninsula, which they consider to be the best part of the best province in the best country in the world. 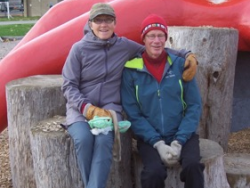 Rod spent 21 years as a banker with CIBC, and he and Kathy lived in 18 homes in three provinces before moving here in 1987, and have now lived in their present home longer than in the other 18 combined! Rod and Kathy incorporated Firm Management Corporation in 1993 to manage strata corporations and commercial property. They were joined by their eldest son Dennis in 1995, and he now manages the company and its 40 employees. Rod still works part time, but he enjoys golf, and he and Kathy enjoy travel, and do a lot of it. 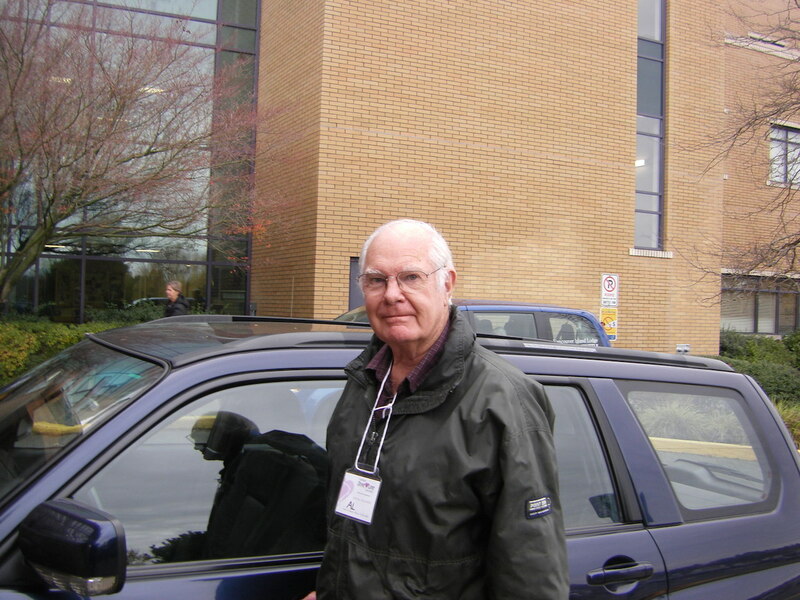 Rod has been a volunteer driver for Cancer DriveLine for the past two years, and enjoys the social interaction with the patients. Their positive attitudes are an inspiration. Rod recently joined the Board of Directors of Cancer Driveline, and looks forward to continuing fund raising activities for the Society. Simon has vast experience in the transport and logistics industry here and in the UK. He emigrated to Canada in 2001. He has worked extensively in not-for-profit organizations, such as the Red Cross, Auxiliary Coast Guard and Marine Rescue, and the Canadian Cancer Society. He has chaired the Board of a local full complex care facility. He has been volunteering since an early age and has a passion to help others in any way that he can. Simon drives and Dispatches for the Society and was its founder. He was Board President from 2015 to 2018. 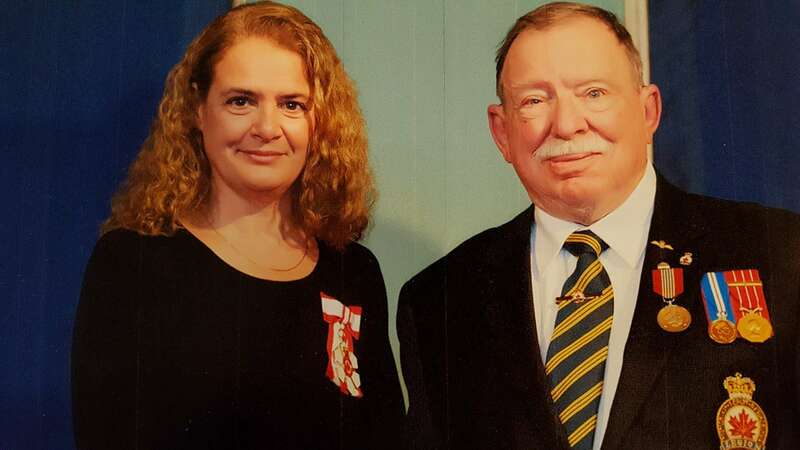 We were delighted when, a few months back, we were approached and asked if we would co-sponsor Tom for a special Volunteer Honor, to be presented by Governor General Julie Payette. The ceremony took place at Government House in Victoria on 21st March. We are all extremely proud of Tom’s achievements and his continued support of Cancer DriveLine. J. is one of our star clients. Besides generously sharing her story about using the volunteers drivers in media press coverage, she is an absolute example for anyone striving to overcome adversity. Having emigrated to Canada at the age of 10 from the UK, she landed in Victoria in 1999. Adversity affected J from the start of her life, due to her premature birth which resulted in permanent vision loss. While raising her 2 children as a single parent, she completed a course at Camosun College in Office Administrative Technology, worked in libraries and customer service, and then worked 10 years for private company with a government contract finding jobs for people; ironically she then was laid off and found herself unemployed for the past 3 years. She is happy her 2 adult children both live in Victoria. Since her diagnosis, J. won’t allow any negative comments around her, insisting on only positive conversation. When asked the source of her positive outlook, she said she “loves life,” doesn’t dwell on the negative but rather likes to “focus on the future”, considering any problem “a bump on the road.” J. feels she “is a better person” for having had cancer, allowing her to develop patience, perseverance and acceptance. Not one to think for long about the negative, she believes in getting on with life; in fact, throughout her treatment she’s been working on a Medical Transcription course online, with 3 months left to go. 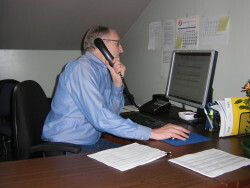 Having had experience with computers since 1986, J. uses a screen-reading program. Her treatment is finished now, but she still gets quite tired and does confess to being ‘done’ by 7 pm. “don’t deny the diagnosis”-only delays treatment-; “be honest with your family friends and yourself; accept help that is offered from those who care for you.” Fido is relaxed now and no longer is concerned enough to sniff her! !